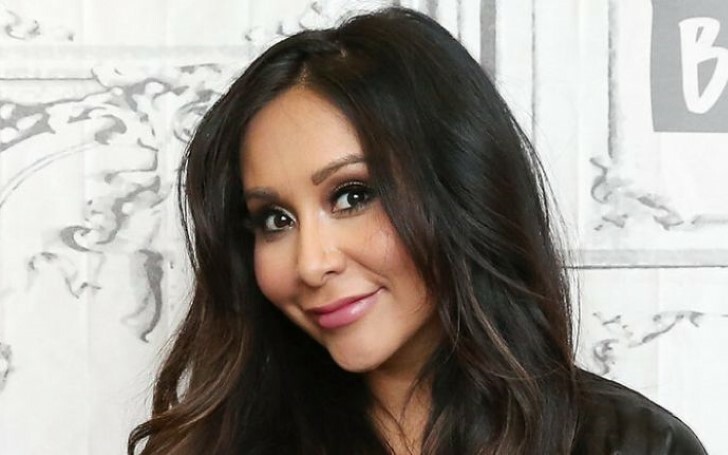 Nicole 'Snooki' Polizzi is already a mother of two and now she has announced she is expecting her third child in an adorable manner! The Jersey Shore: Family Vacation star Nicole Polizzi pulled off a surprise for her fans on Thursday, as she revealed via Instagram that she and her husband, Jionni LaValle, are expecting their third child together. The 30-year-old reality star shared a series of photos of their kids, daughter Giovanna LaValle, 4, and son Lorenzo LaValle, 6, holding up her ultrasound. Snooki captioned it: "What I’m thankful for this Thanksgiving." Earlier, Snooki and LaValle got engaged in 2012 and had their first child Lorenzo in August the same year. Their second child, Giovanna was born in 2014 in September. This was followed by the wedding as the pair exchanged vows in November. "I’m trying now. I’m practicing now. It’s going good. I’m not pregnant yet but, I mean, we’ve been practicing for a month now so…"
Meanwhile, Snooki made her return to the MTV reality TV show 'Jersey Shore: Family Vacation' as her husband Jionni explained that he had opted not to be on the show. As a matter of fact, he shared a post in January which read, "My wife is filming a scene packing up and leaving for her new show and I AM CHOOSING TO NOT be on TV because I simply DO NOT like it. Nicole and I are doing great and became even stronger together while raising our beautiful kids." Also See: Why Gayle King isn’t Expecting a Christmas Present From Oprah Winfrey? Clearly, things are going well for the couple. Congrats to the happy family!